Benji, right, participates in team skits at the Summit conference in July. Friendship, food and a trip to Wellington took Benji’s explorations further than planned. Last year, his first studying Agribusiness and Food Marketing at Lincoln University, he got to know James Lee, a member of the Christian Fellowship. James invited Benji along to an event that involved dinner, and since there was free food, he accepted. An invitation to Monday night Bible studies followed, where Benji found an opportunity to ask questions and discovered, for the first time, that it was possible to have a relationship with God. Benji was born in Zimbabwe, and when he was 5 years old his family moved to Ashburton. He grew up with a basic understanding that God exists, but the thought of what happens after this life troubled him. After attending CF studies and meeting with staff and students during first semester, he tagged along with those who attended the midyear conference—which was the South Pacific Area Regional Conference in 2016. The conference theme was evangelism—a topic even Christians don’t always gravitate towards, and a word Benji had never heard before. But as he listened to Mack Stiles’ teaching and observed the joy and kinship students shared, the fresh understanding of the gospel he’d received from Bible studies and conversations at CF continued to grow. He’d only been to church once or twice, but he was full of questions for his Christian friends. A few weeks after conference, he professed faith in Jesus. In place of fear, he said he now has contentment. “I felt like you’re always searching for something when you’re not a Christian, for the next high,” he said. This difference has extended to a different way of life—something his old friends still don’t understand. He particularly notices a change in the way he doesn’t join in the same conversations he once did, and in the topics he enjoys talking about with Christian friends. 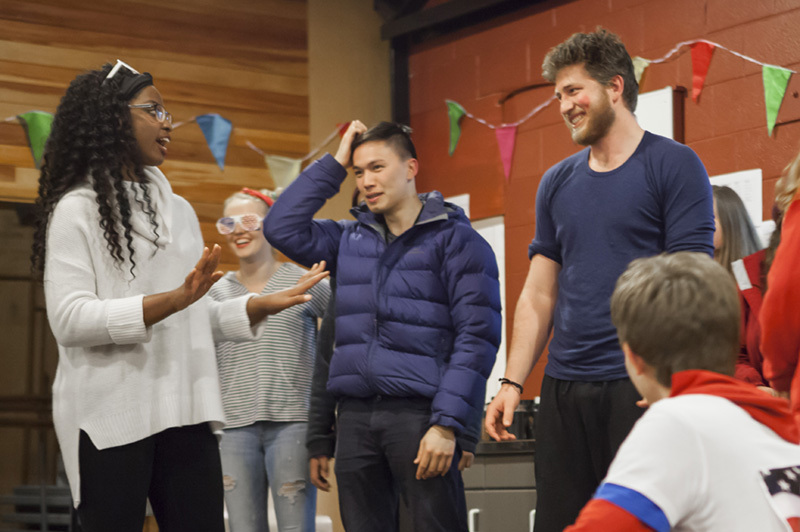 Benji reflected on the past year as he took a break from the activities at Summit, this year’s midyear conference, where both his physical presence and upbeat personality contributed to the success of skits and games.